Today is the day! 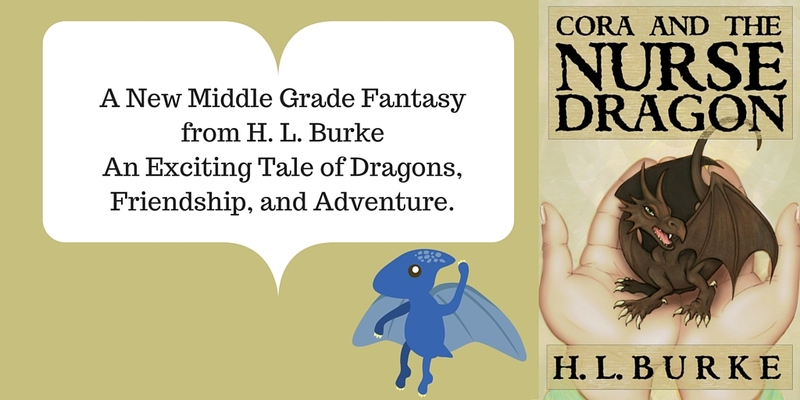 If you pre-ordered, your copy of Cora and the Nurse Dragon should be on its way to your kindle. If you didn't, you can now buy the book in ebook or paperback! Click below to purchase. 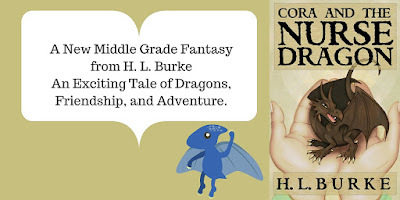 In honor of this auspicious day, I have written a blog post with 10 awesome bits of Cora and the Nurse Dragon Trivia ... ENJOY! The author of the dragon field guide, referenced in the book, is J. C. McCall, named after the author’s grandfather. Grandpa Jim is an avid “birder” who always has a bird book on hand, so it seemed an appropriate choice. The name for the main dragon, Cricket, was taken from the author’s Facebook fans when the desperate author sent out a “name my dragon” plea. The winning name was suggested by Bethany J. The name inspired the dragon’s signature “chirping.” Due to a much longer story, which should be detailed elsewhere, Cora is also named after her daughter. An important character, Mr. Algernon, is described as tall with a dirty blond beard because the author watches an obsessive amount of Good Mythical Morning and wanted a character to look like Rhett from that show. There is a reference to a secret group known as the Cadmus Society, which is a reference to Greek mythology and Geek mythology, as Cadmus is a secret government agency in the DC Universe. This is the author’s sixth books to significantly feature dragons, but dragons have made appearances or received mentions in the majority of her work. The author got the idea for the book when shopping for toy dragon eggs online for her daughters. The author teared up writing the ending. She doesn’t usually cry when writing, so this is only the third instance of self-induced-writer tears (the other two scenes causing such emotion were in Dragon’s Rival and Lands of Ash). Almost all research done for the book involved the setting, due to the choice of a 1920’s alternate earth for the location/time period. Apparently in the 20’s they did have flashlights but did not have ballpoint pens. The first draft of Cora and the Nurse Dragon (at roughly 39,000 words) was written in ten days. That is a personal record for the author. Edits/second drafts are another story. The majority of the book was written to the soundtrack of computer games World of Warcraft and the Myst series as well as songs from the band Evanescence … and occasionally Rhett and Link. And this is somewhat related, somewhat unrelated. You notice that Rhett and Link feature in two of the answers above. I follow these guys on Twitter/Facebook/Whatnot and recently when they did a "shout out" for questions involving morning routines, I answered (probably along with several thousand other people) ... but anyway, then THIS happened. Best author moment of the year so far (starts a little over 3 minutes in if you want to skip to the related bit). I'm totally sending Rhett a copy of Cora and the Nurse Dragon. He has to read it now, right? Oh my gosh. That is so awesome. You should totally mail him a copy of your book!!! I should probably send two. I don't think you can address Rhett and Link as individuals. They only work as a unit. The guy probably has allergies. Hahahaha. (right at 3 minutes). Thanks! Yeah, it was a fun book to write, too, and I'm glad Cora's mom likes it. Hi Heidi! I will read your list of 10 after I've read the book. Hearing you mentioned on the show was super cool. I hope it brings a lot of interested people your way! Stopping by from the Kid Lit Blog Hop. Love the cover illustration and have just read the full blurb; I'm going to have to add this tom my to read list - it sounds great! I hope you get a chance to. Thanks for dropping by. Love the book cover and enjoyed reading the 10 secrets...thanks for sharing those with us! My daughter is a middle grader and we are always on the search for new books to read. We will be adding Cora and the Nurse Dragon to our list. Thanks again for this great post!